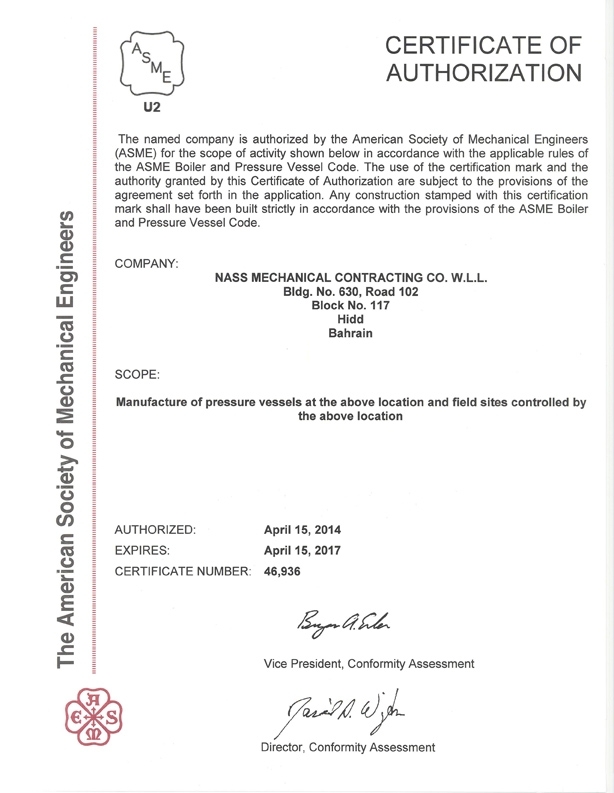 Nass Industrial Services (also known as Nass Mechanical Contracting Co. W.L.L.) commenced operations in the year 1972, and is progressively emerging to become one of the major Mechanical, and Structural Engineering Contractor in the region. 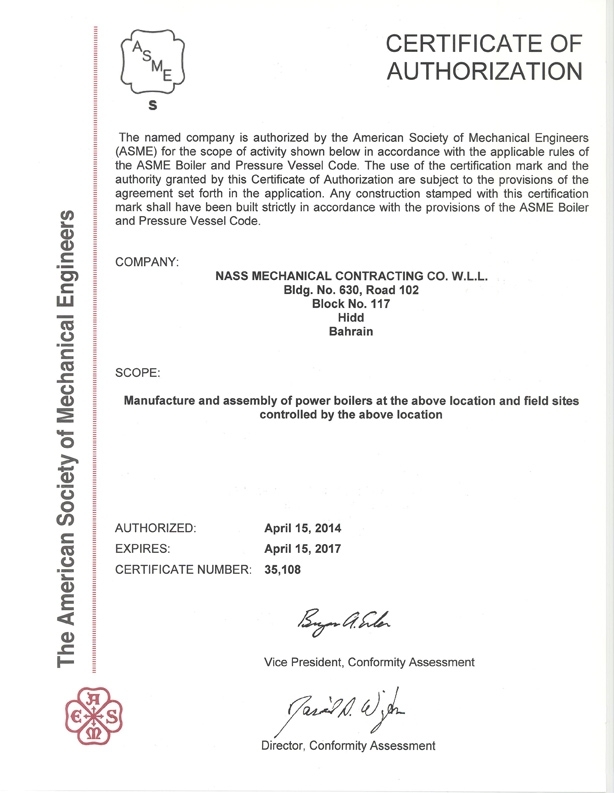 The Company is engaged in Shutdown and Maintenance Projects, EPC of Packaged Unit, General Plant Construction, Heavy Engineering and Process Equipment Manufacturing, as well as, Refractory and Insulation, and Industrial Painting Projects in the Kingdom of Bahrain, as well as the GCC countries. Nass Industrial Services has an immaculate reputation for delivering on time and for adhering to the best industry practices in terms of technicalities, quality, and customer service. 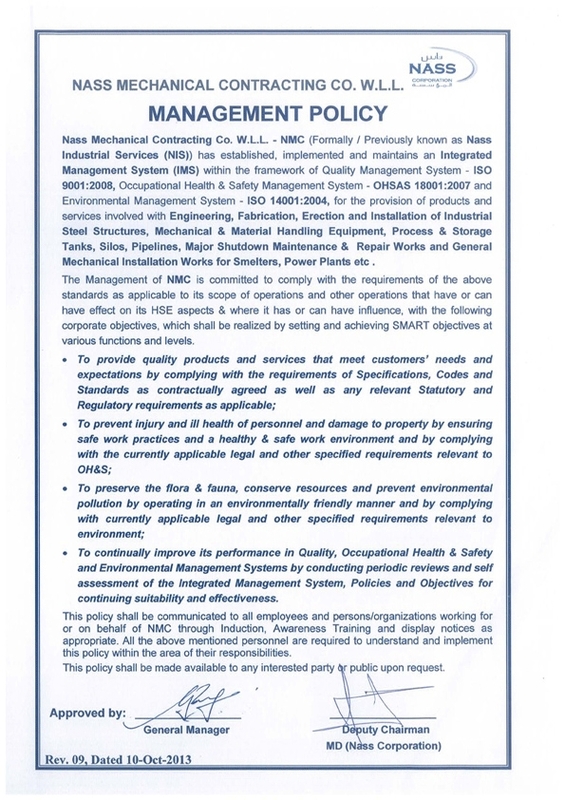 The Company has a proven track record of excellence in construction quality, health and safety, and performance in all facets of electromechanical construction and heavy engineering products for a wide variety of industries and clientele. 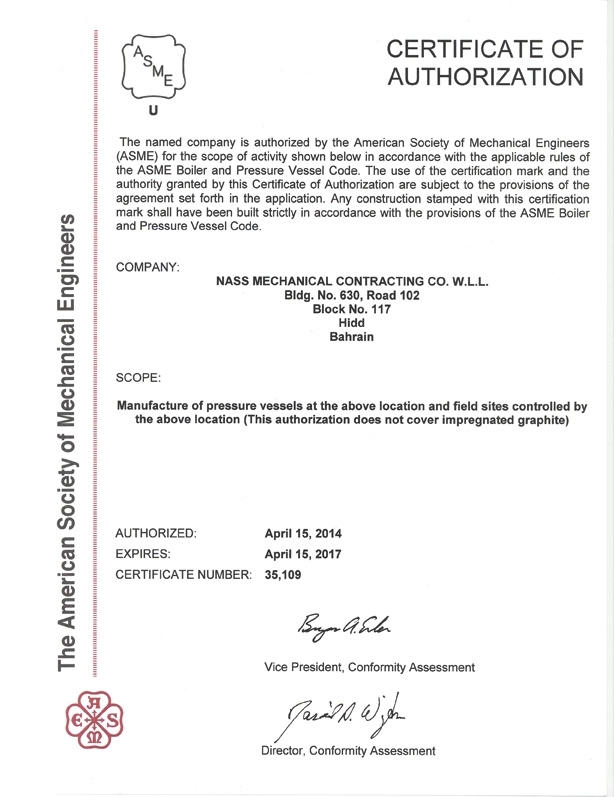 In an industry where cost spillage and delays are frequently experienced; the superior track record and solid strategic capabilities have ensured Nass Industrial Services to become one of the most trusted and sought-after contractor for Engineering, Procurement & Construction (EPC), Operations & Maintenance, Manufacturing, Manpower Supply, and Equipment Rental activities in the region. 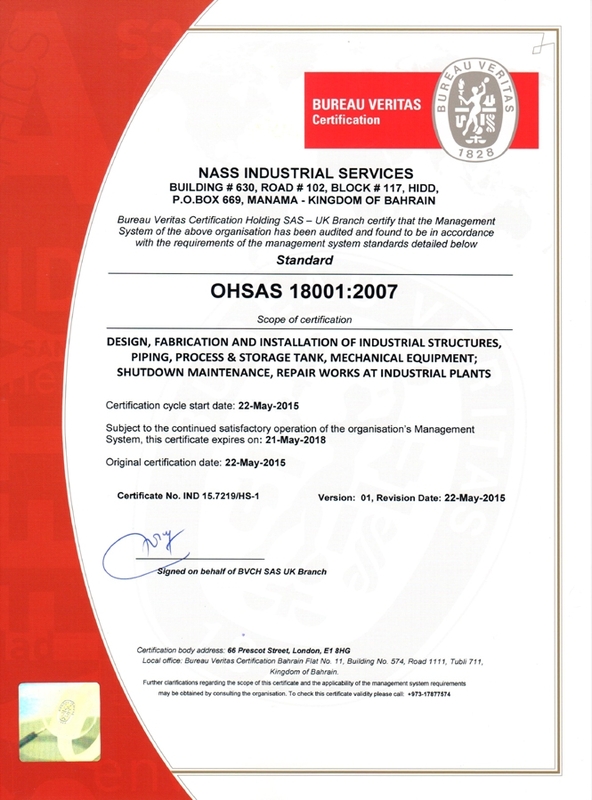 Nass Industrial Services is accredited with ISO 9001:2008, ISO 14001:2004, and OHSAS 18001:2007 Management System, and certified with ‘ASME’, ‘U’, ‘U2’, ‘S’, ‘R’, and ‘NB’ stamps for selected activities. The Company mobilizes a team of over 1,500 employees at present, and has the potential to mobilize the manpower pool at a given time frame based on project specific requirement. Nass Industrial Services owns a specialized fabrication yard and multiple offices for engineering and procurement activities in Bahrain, and Saudi Arabia. Click here to read about Industry Sectors Served.